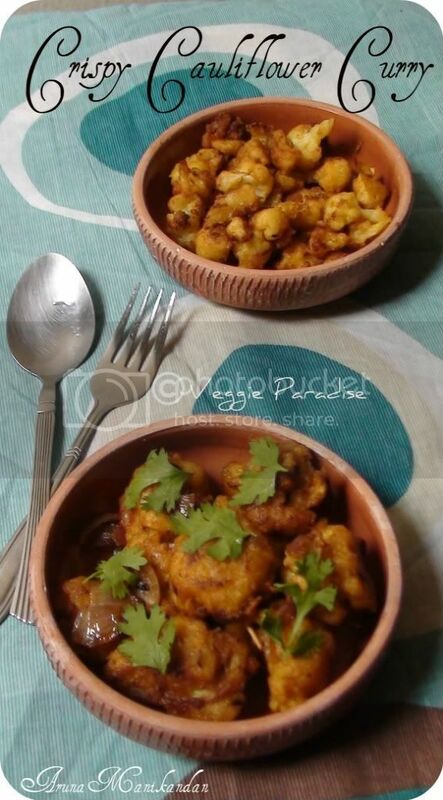 This is a simple , crispy and delicious curry with cauliflower.This goes very well with rice , you can also have it as a tea time snack.Whenever I prepare this as side dish , I do prepare another one, you no why, b'coz my sweetie pie , at the time of preparing she comes and stands next to me with a bowl.She loves it and so we don't touch it , hence I normally do another side dish for us. How to prepare this Crispy Cauliflower Curry ? In a vessel, drop these cauliflower florets along with sufficient water and turmeric powder, when the water starts boiling, switch off the flame. Drain the water from the cauliflower florets and keep it aside. In a bowl, add rice flour, corn flour, chilli powder, asafoetida and salt. Add little water and mix it well. Heat oil in a pan, dip the florets in the batter and deep fry them until they turn crispy. Place them in kitchen towel to remove excess oil from it. Heat a tsp. of oil in a pan, add cumin seed, when they stop spluttering add the onions and saute it well. Add the cauliflower florets , along with sambar powder, allow it to cook for about 10 mins. Finally garnish with coriander leaves. Make sure the consistency of the batter is not too watery. Adjust the chilli powder according to your taste. If you want you can replace sambar powder with garam masala powder too. very nice recipe..will it taste good if we shallow fry it? Wat a delicious and yummy curry, a prefect starter..
Lovely dish...makes me want to grab some from the screen. Lovely looking curry. Must have been delicious and must not have lasted more than few minutes. Looks spicy, yummy and tempting. Perfect with roti. Perfect starters! !looks very crisp n mouth watering..
Wow! 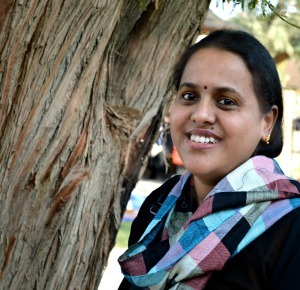 Aruna...your pallet looks awesome with a wonderful food captured into an elegant picture. Superb one dear!!! Loving it! 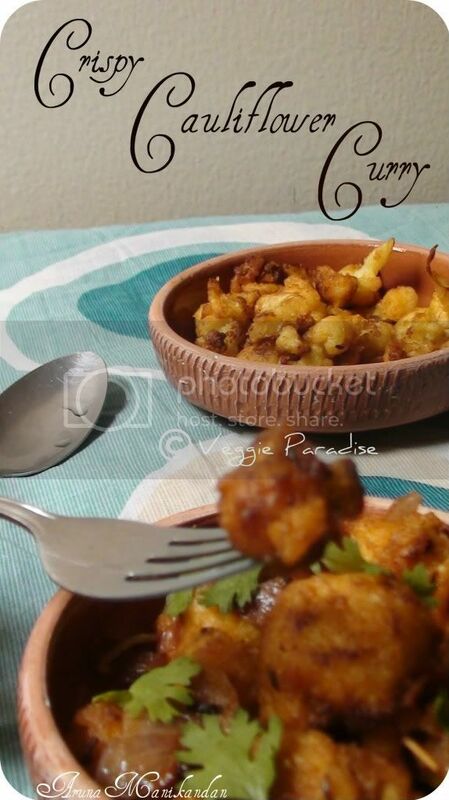 nice clicks......Looks very yummy...nice one dear..
nice idea of using sambar powder..
Lovely and wonderful curry !! very tempting !! 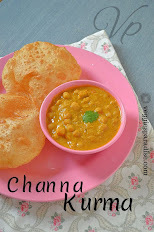 nice idea...very tempting curry...love to have some with sambar sadham...lovely clicks!! Would be great for a tea time snack too... Looks great. Interesting dish! Loved the addition of sambar powder..
looks yummy..liked the crispy and delicious cauliflower..
perfect with rice as dinner.... yummy! The cauliflower dish seems so delish and yumm!! A delectable side dish, we used to fry cauliflower and have it as fritters but never thought of making curry with it.. great sharing! Looks so crispy and nice. yumm. looks so pretty..love to have it anytime..
LOVE this kind of cauliflower preparation! YUM! this looks real good...nice presentation dear.. I've never tried cauliflower curry. This looks simple and tasty. Delcious recipe, looks inviting. Can be enjoyed as starter too. Wow, looks fantastic. Nice color and looks crispy too!